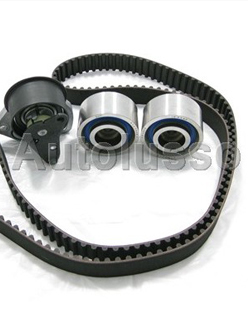 We offer either full cambelt services or just straightforward cambelt changes. Below are all the pricing options detailing what is carried out and how much each option will cost. At the bottom of the page some common questions and queries are answered. If you can't find your answer here please do not hesitate to give us a call. Alfa Romeo recommend that the Cambelt is changed every 36,000 miles or 3 years, whichever is soonest. 159 and Brera: Cambelt, tensioner and idler. Alfa Romeo recommend that the Cambelt is changed every 72,000 miles or 5 years, although we have seen many fail before this interval and strongly recommend it is changed every 60,000 miles or 4 years, whichever is soonest. It is also strongly advised to change the waterpump too. It is also strongly advised to change the waterpump and idler pulleys too. Why is it so important to change my cambelt? Failure to do so within the recommended mileage / time schedule will result in the cambelt breaking, causing internal engine damage resulting in expensive repair costs. What damage is caused if my cambelt fails? Waterpumps, idler pulleys and tensioners can be damaged if a cambelt fails, if not the cause themselves. Inlet valves and exhaust valves can make contact with the pistons causing them to bend. In some cases the pistons can even become damaged. The forced contact between the valves and pistons can cause flat spots to occur on the bottom end bearings leading to engine failure at a later date. How often should I change my cambelt and should I always change the waterpump at the same time? Alfa Romeo recommends every 36,000 miles or 3 years (whichever is soonest) for all T-Spark engines and the same for 2.0 JTS engines. It is not always necessary to change the water pumps on the T-Spark and JTS engine but we will always inspect the waterpumps on these engines and advise accordingly although they are not a known ‘problem’ area. The later JTS engines in the 159/Brera are all chain driven. For all V6 (not inc 159/Brera) engines they recommend 72,000 miles or 5 years although we strongly recommend that it is changed every 60,000 miles or 4 years (whichever is soonest) as we have seen so many fail over the years well before the 72,000 mile / 5 year mark. We also strongly advise that when changing the cambelt on the V6’s that the idler pulleys and waterpumps are always changed with the cambelt as these are often the cause of premature failure. JTD engines are much the same as the V6’s. Alfa Romeo recommend 72,000 miles or 5 years but again we strongly advise that it is changed along with the water pump every 60,000 miles or 4 years due to waterpumps failing before the 5 year or 72k mark. Why always change the balance shaft belt and tensioner on 2.0 engines? This is necessary as if the balance shaft belt fails; it can often get caught up within the cambelt causing damage to the cambelt itself or other timing components. The variator is attached to the inlet cam and changes the cam timing to provide optimum performance. They are fitted to all T-Spark engines and 2.0 JTS engines. When these are faulty they make a rattling sound on start up.